Baby Won't You Please Come Home? Oh Johnny, Oh Jonny, Oh! Who's Gonna Pay The Check? Extra Special! / Somethin' Groovy! Latin ala Lee! / Olé ala Lee! 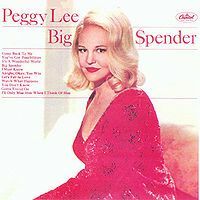 The Best Of Peggy Lee "The Capitol Years"